3 BR Gulf Front Turtle Walk, "Turtle Walk and Blue Dolphin Condos"
(turtlewalk) (bluedolphincondos) WE RENT GULF FRONT CONDOS. We have other listings on VRBO #7133, #981873, #14749, #342865, #662136, #8803, #1029058, #1363514 and a listing on Home Away #298996 please check our all our condos..
**************** Hurry Dates Going Fast, WILL GO FAST!!!!!! GULF FRONT TURTLE WALK . BEAUTIFUL, WHITE SAND, BLUE OCEAN. COME AND RELAX!!!! HURRY 2018 DATES ARE GOING FAST. Our privately-owned condo sleeps eight guest... There is one king bed in the master bedroom, one queen bed, two twin beds, and 2 ROLLAWAYS. 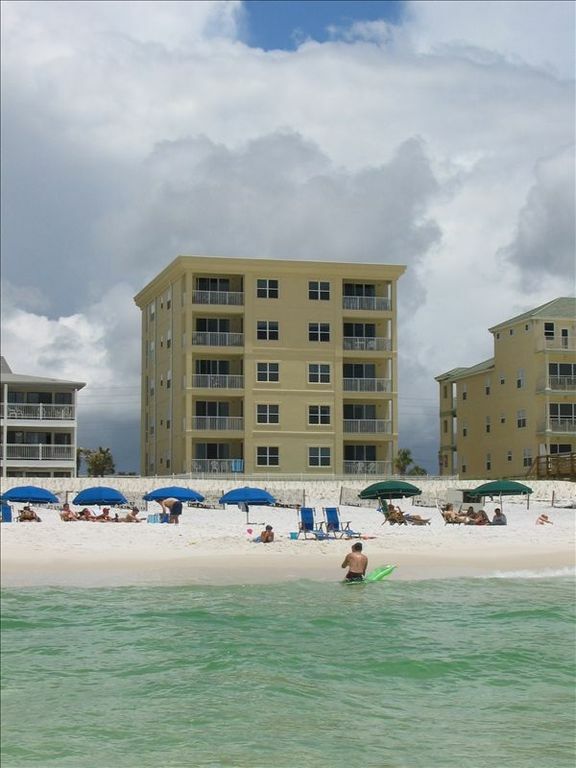 Our vacation rental overlooks the condo pool and the sugar white sands of the Gulf of Mexico. Step out on our fifth floor balcony which is accessible from the living room or the master bedroom and enjoy great views of the Gulf. Pets are NOT allowed and please No Smoking. NOW OFFERING FREE WIRELESS INTERNET SERVICE FOR ALL GUEST!!!!!!!!!! Our condo is in a ten unit building, therefore the beach and pool are not crowded like other high-rise condos. The kitchen is fully-equipped with microwave, dishwasher, ice maker, and pantry. Our condo has a full-size washer and dryer in a large utility room. Gorgeous panoramic views overlooking the Gulf of Mexico. Covered parking helps protect your vehicle. There is free beach service (two chairs and umbrella). We accept Visa and Master Card for your rental You will enjoy the privacy of our unit! Pets are NOT allowed & please No Smoking, NOW OFFERING FREE WIRELESS INTERNET SERVICE FOR ALL GUEST!!!!!!!!! !